Join Enfamil club today and you will receive free sample box filled with lots of their products for babies. Follow our link and fill up the form to register right away and receive these free gifts. Click GET FREEBIE button and join Enfamil club today to start receiving these products. Hurry up and get yourself a free sample of Cutie Pea wipes from Social Nature. Follow our link, click Signup button and supply them with your shipping details to get this free snack. Click GET FREEBIE button to visit their social page now and order your free sample today. You can get yourself a free Walmart baby box filled with lots of free baby products. Just follow our link and supply them with your shipping details to receive it by mail. Click GET FREEBIE button and then order your free Walmart baby box. Munchkin is giving away free baby products including the Miracle cup so you can try it out and give you feedback. Follow our link and supply them with your details to get yours. Click GET FREEBIE button and then apply to become a reviewer for them and receive their products for free. You can get a free baby food products from Nosh when you join their website. Follow our link and join their insider’s program to receive this and lots of other baby products for free. Click GET FREEBIE button and then then register yourself for a chance to receive free goodies from Nosh. Hurry up and get a free sample of the new Johnson’s shampoo. Follow our link and supply them with your shipping details and they will deliver it right at your doorsteps. Click GET FREEBIE button and then order a free sample of this shampoo today. You can get a free sample pack of Dyper Bamboo diapers and it will be shipped to you free of cost. Follow our link and then get your free sample right away. 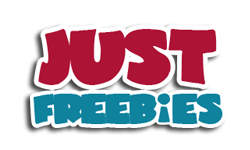 Click GET FREEBIE button and then order your free diaper sample pack. You can get yourself a free Dr. Brown toddler toothbrush. Follow our link, take a quick survey and then supply them with your shipping details and they will deliver it right at your doorsteps. Click GET FREEBIE button and then take a survey for a chance to receive this toothbrush. You can get a free pack of Nosh Organic wafers for teeting babies. Follow our link and join their insider’s program to receive this and lots of other baby products for free. Click GET FREEBIE button and then then register yourself for a chance to receive free goodies from Nosh. You can try out a free sample of Signature Care diapers from their official website. Follow our link, scroll down and supply them with your postal details to receive the sample pack via mail. Click GET FREEBIE button and order a free sample of Signature Care diapers today. You can get free nursery care kit that contains all the grooming essentials for your little ones.. Follow our link and click Apply Now button and register to get your hands on this kit for free. Click GET FREEBIE button to head over to Trybe website now and get your nursery care kit.